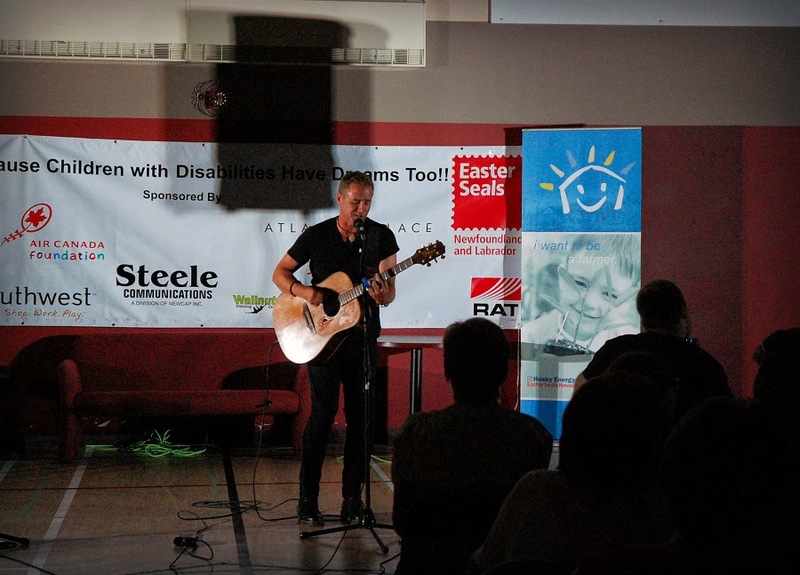 Last night, we attended a concert fundraiser for Easter Seals Drop Zone. Drop Zone is an insanely exciting and terrifying event in which participants willingly rappel 150 feet down the side of Atlantic Place. Crazy. Participants are required to raise $1000 in pledges while challenging their comfort zone, all for a great cause. 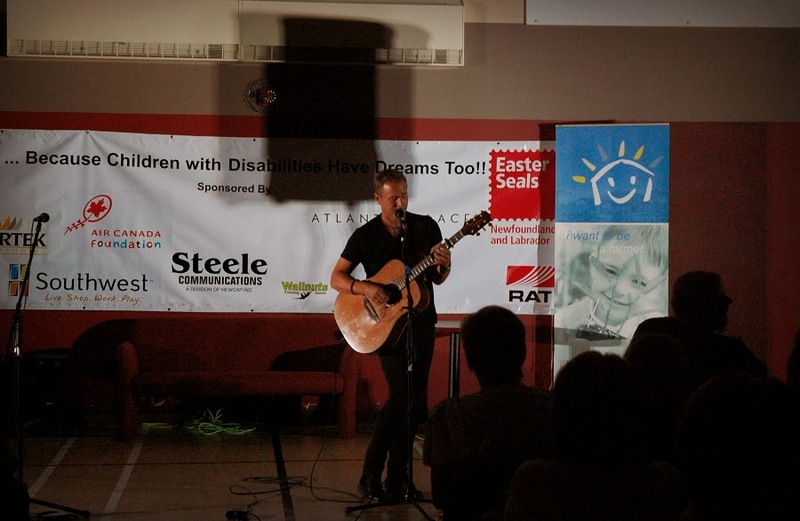 All money raised supports Easter Seals' life-changing programs and services for children, youth and families living with disability in Newfoundland and Labrador. 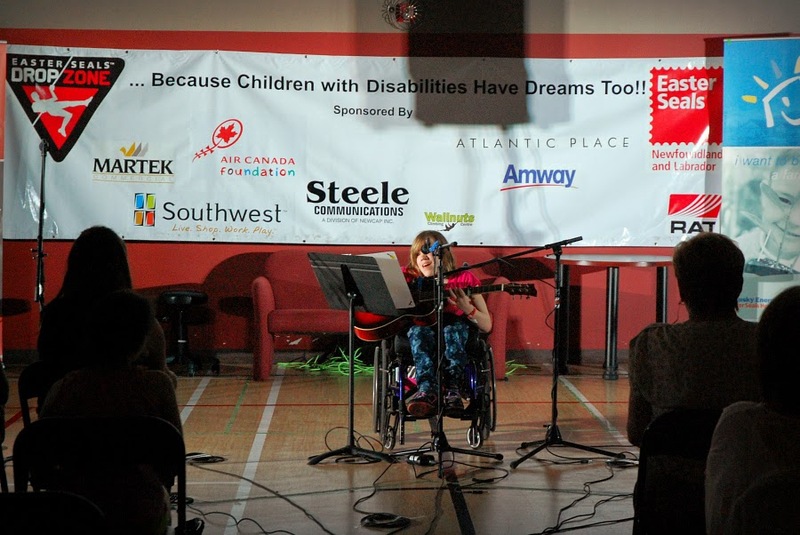 Because I am a huge chicken and would never have the courage to do this myself, I am happy to support the cause by donating to those who are much braver than I.
Easter Seals volunteers and camp counselors, Erin and Travis organized a concert fundraiser with some amazing talent. 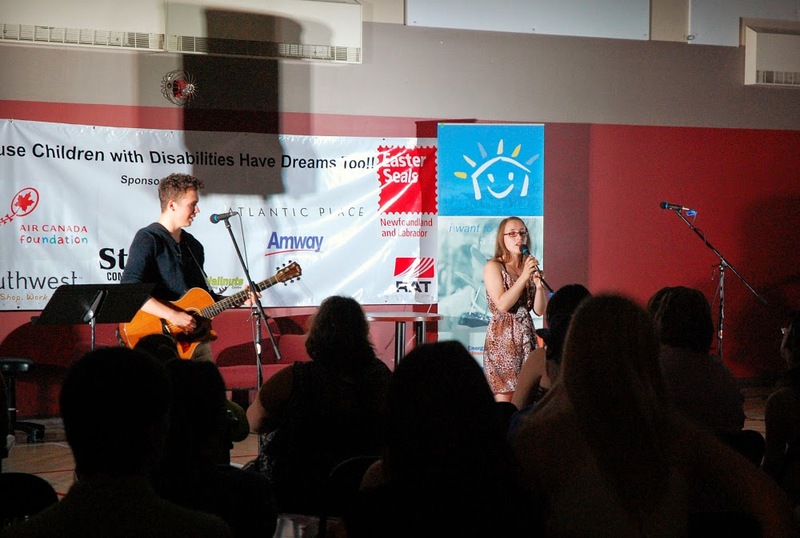 Performers included Megan Glover, Abby Quigley, Chelsea Parsons, Naaman Barbour, Everglow, ESS, Justin Upshall, Travis Pickett and Séan McCann. Brennen, Andrew and I were very excited to meet Séan and to see him perform. As someone said last night, "He gets it". He knew why we were all there, and he wanted to be a part of it. He made a connection with our kids, and he involved them in his music. It was very moving, very emotional, and very much appreciated. Séan is actually doing the Drop Zone himself, and will be (as he says) "Falling off Atlantic Place" for a good cause. He is a brave soul, and should be commended for that! 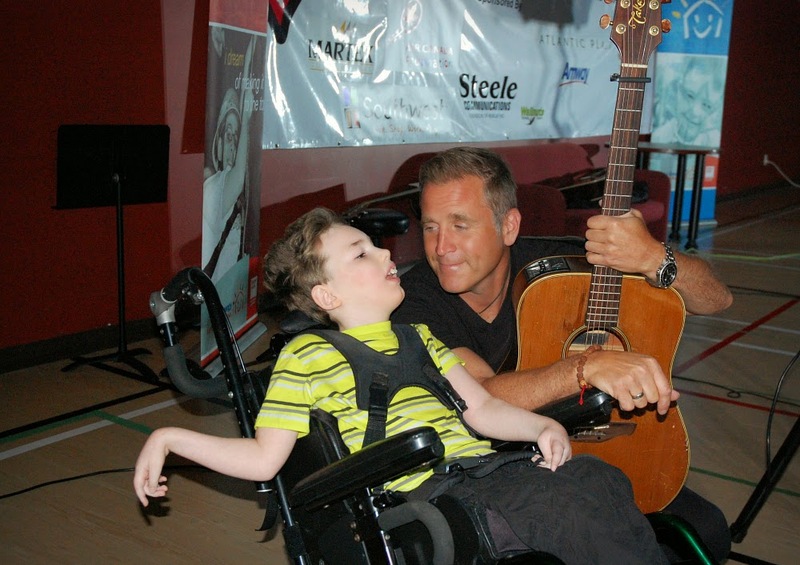 Thank you, Séan, for all of your support and involvement with Easter Seals. Thank you for helping to enrich the lives of our children. Thank you for getting it. 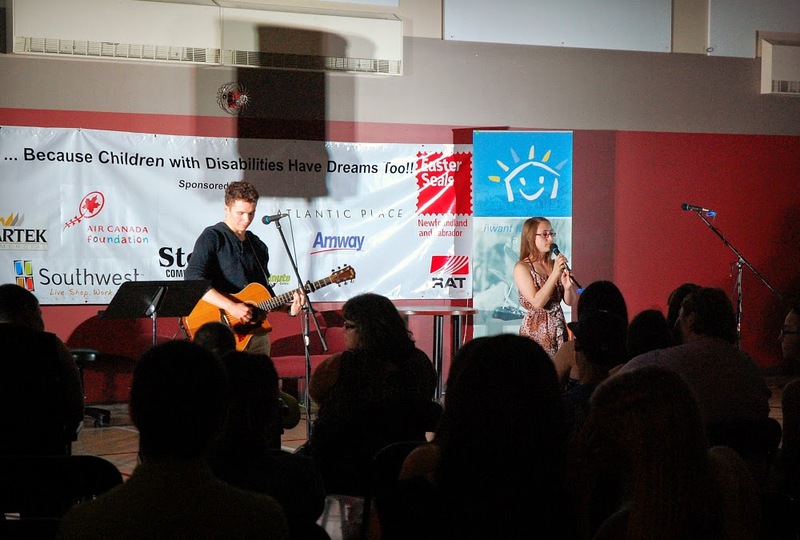 Watch this video of Séan and Carly singing the most beautiful version of 'You Are My Sunshine' that I've ever heard. And here, Séan sings 'Imagine', with Josh rocking it out from the audience! Amazing! I hope someday you'll join us. And the world will live as one." And donate to Easter Seals Drop Zone HERE. 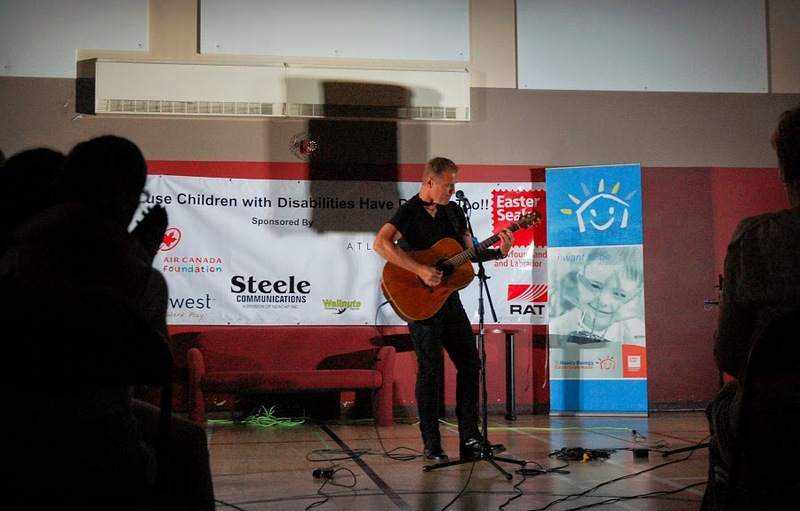 Great concert for a great cause. Sean McCann rocks.